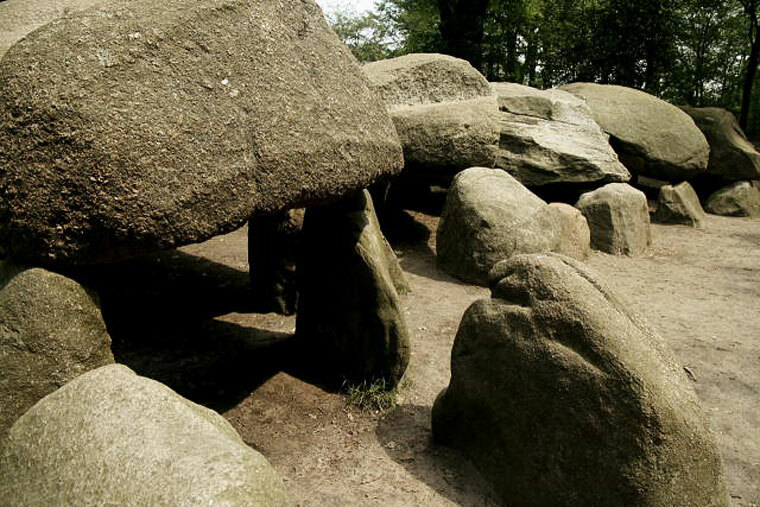 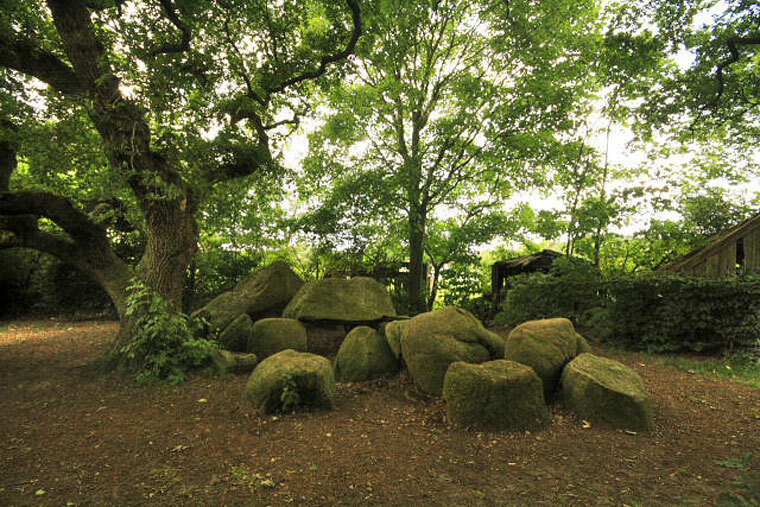 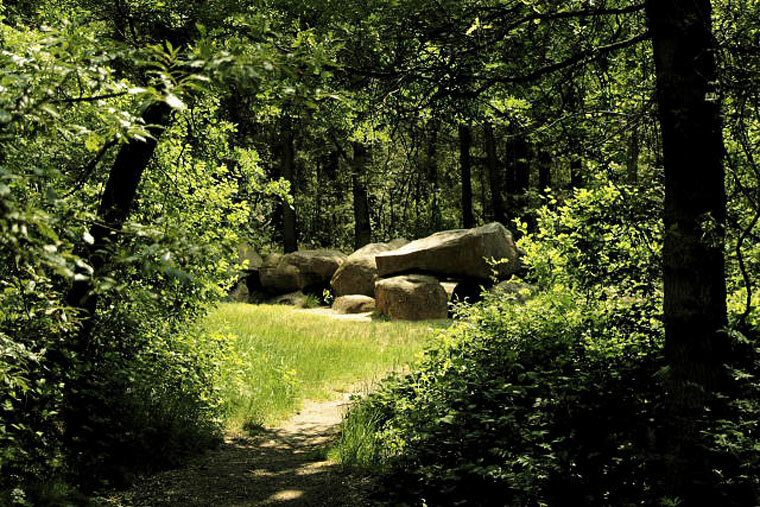 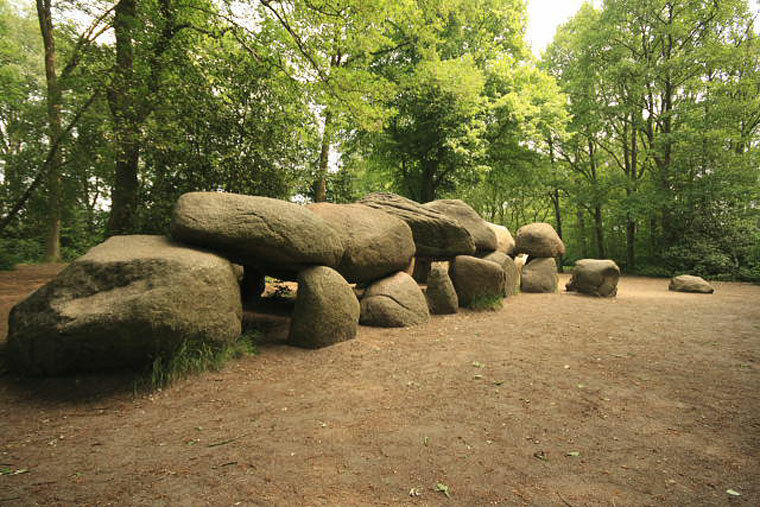 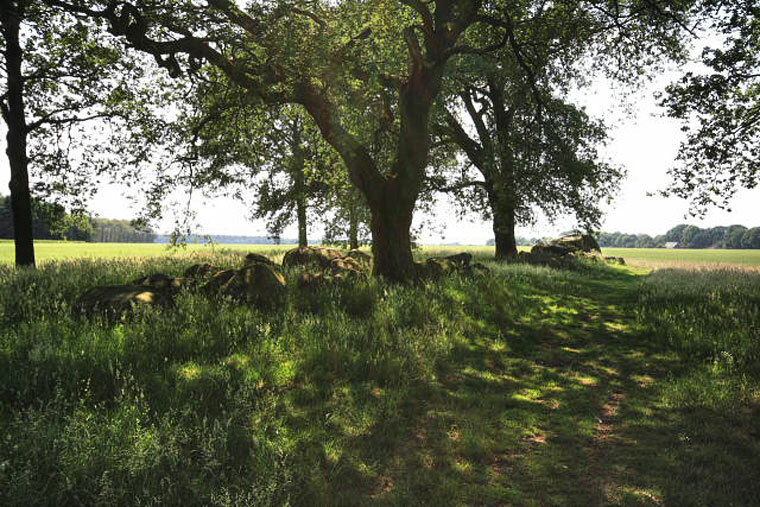 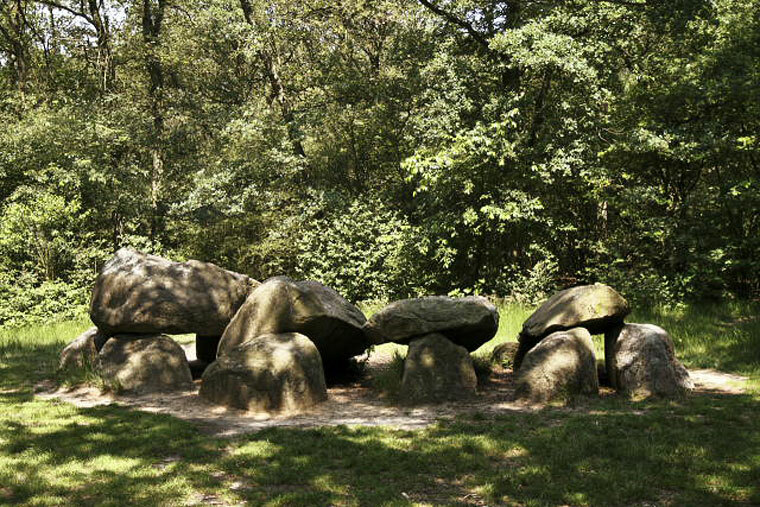 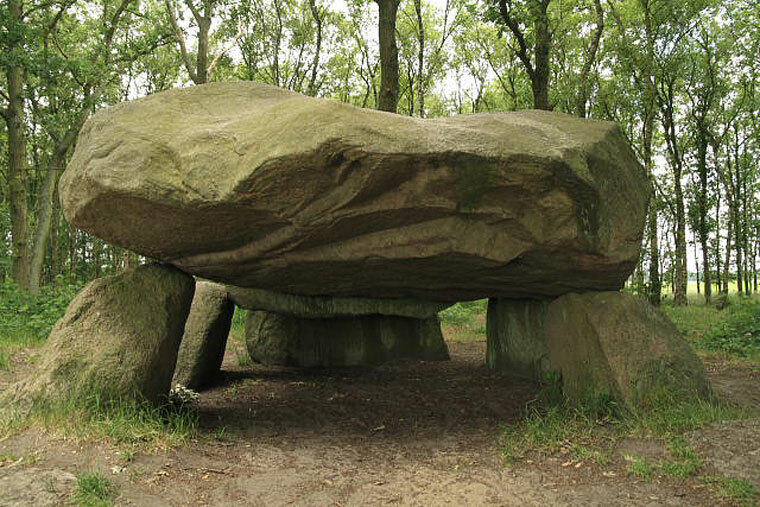 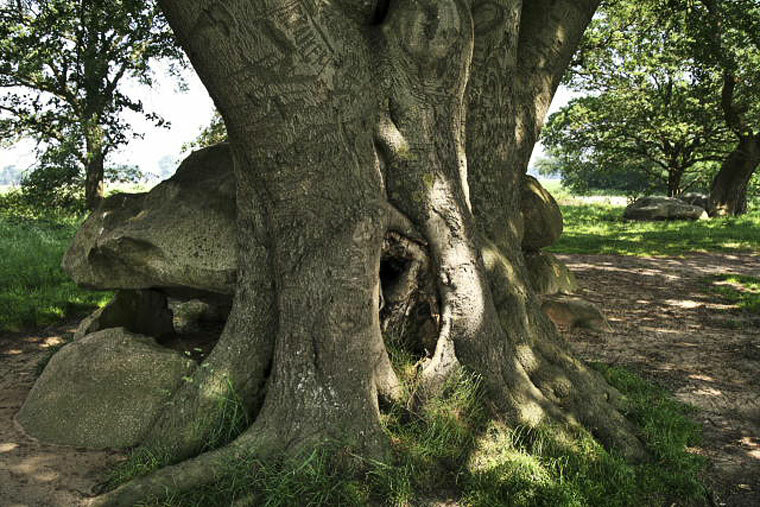 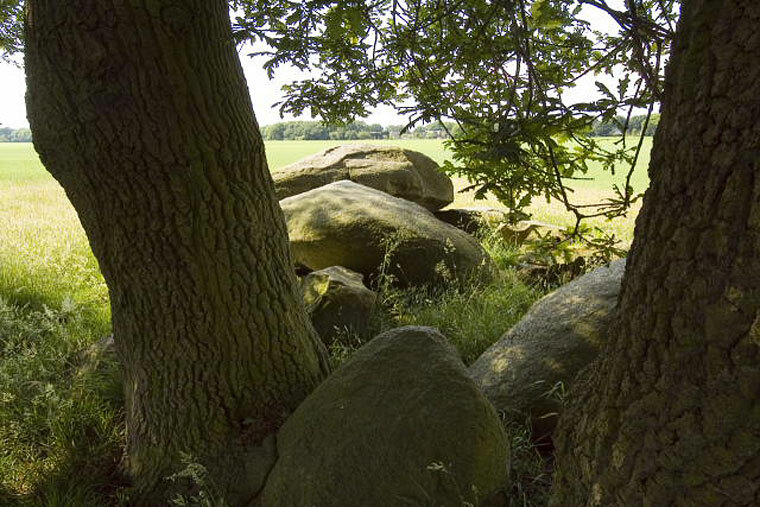 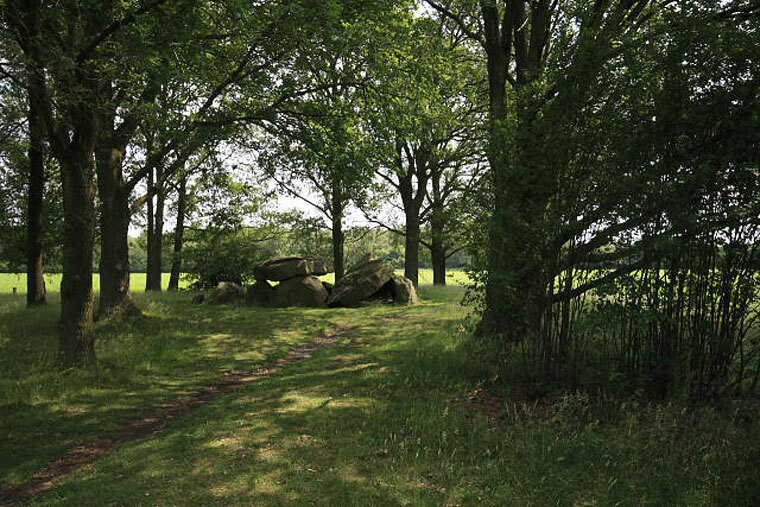 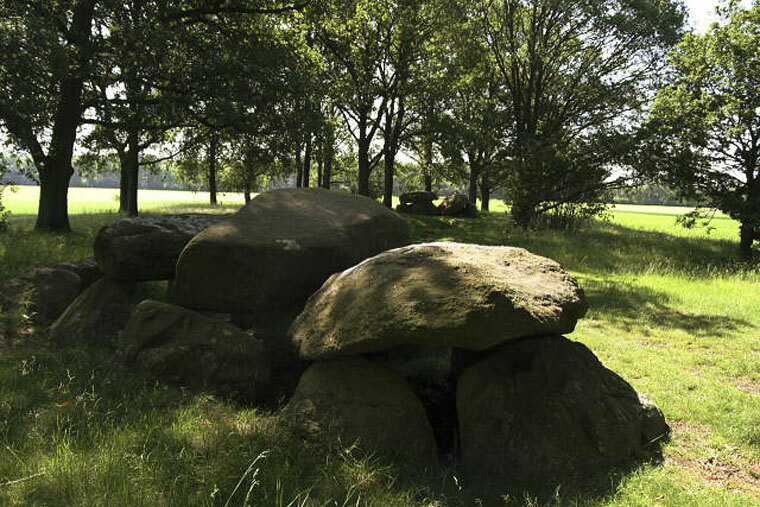 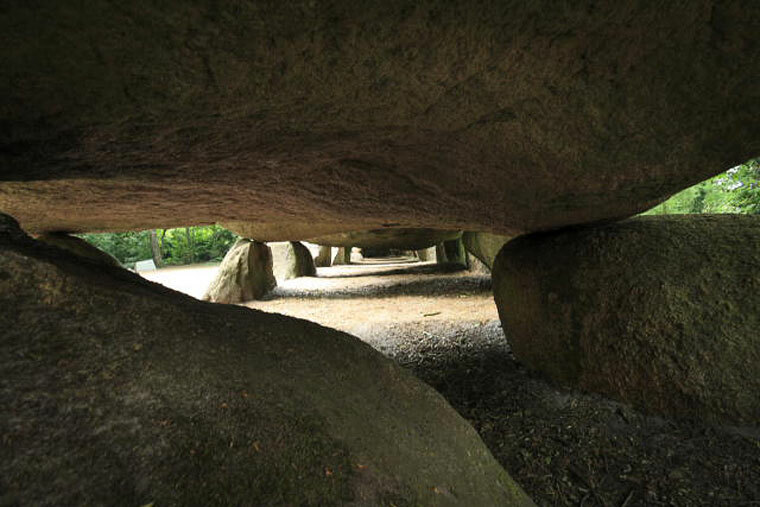 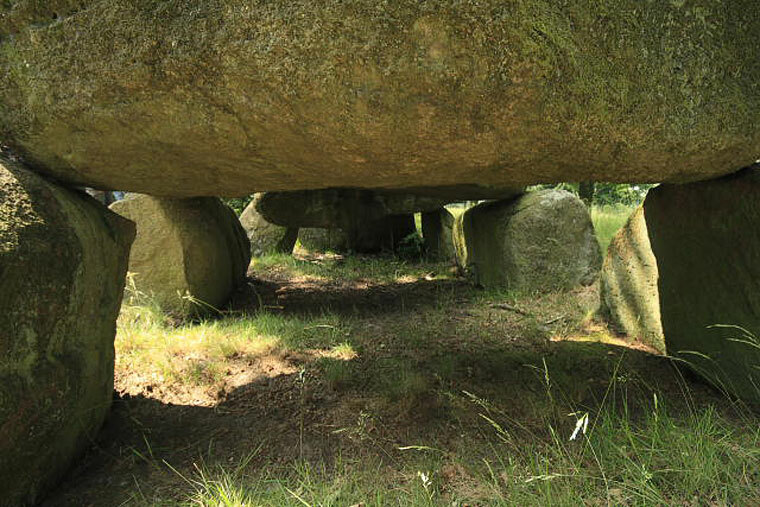 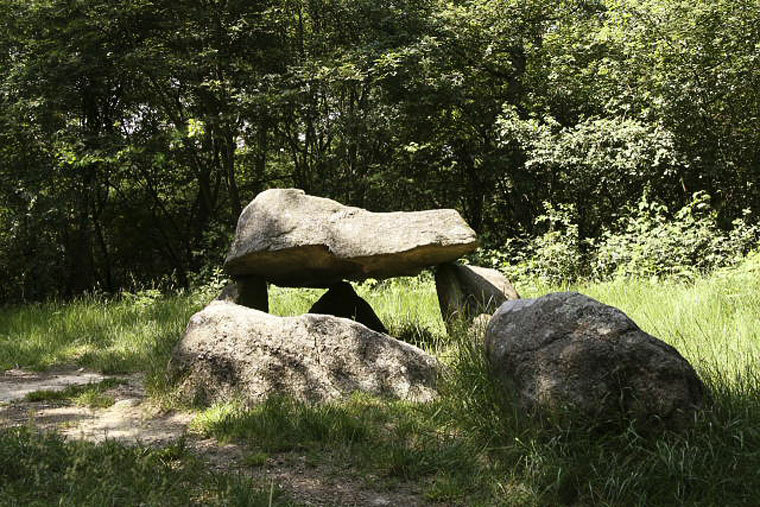 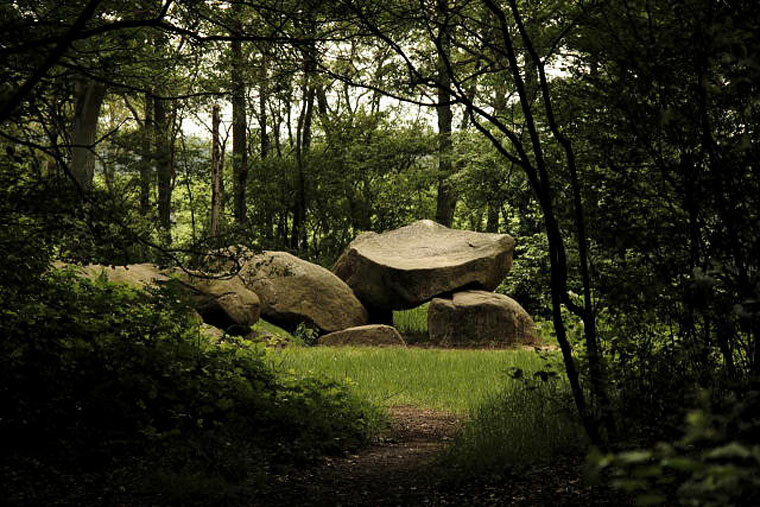 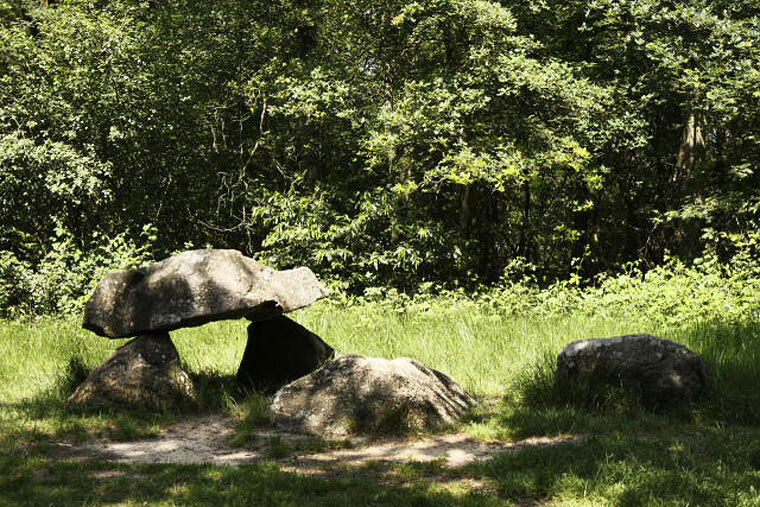 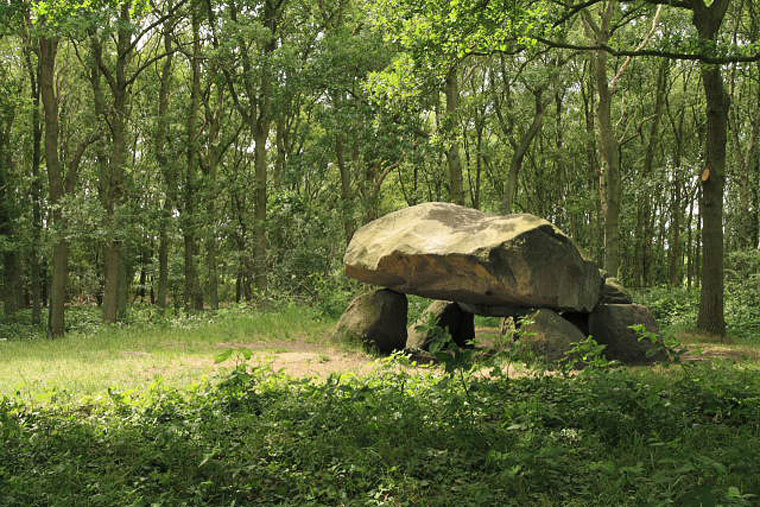 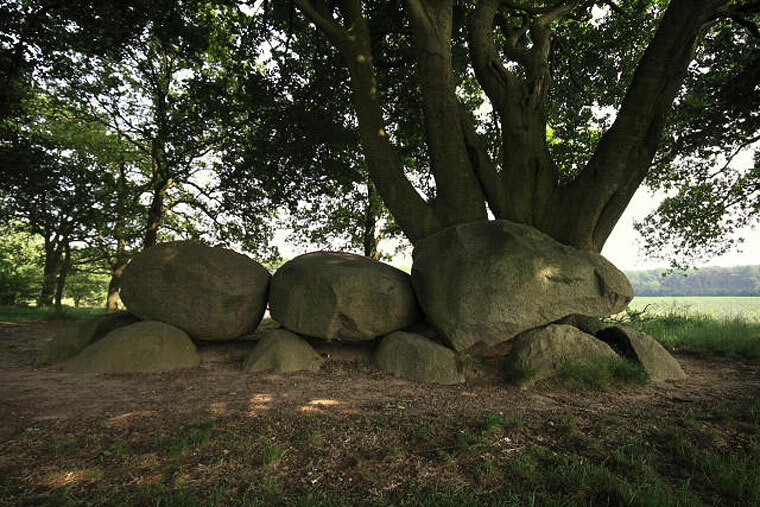 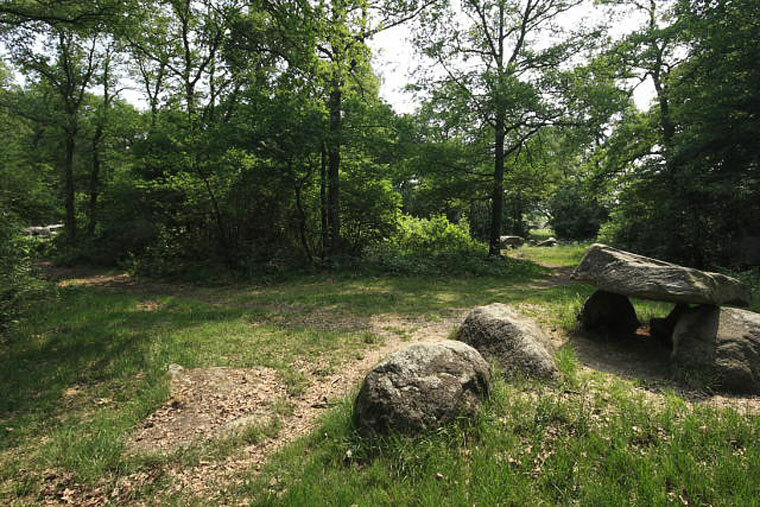 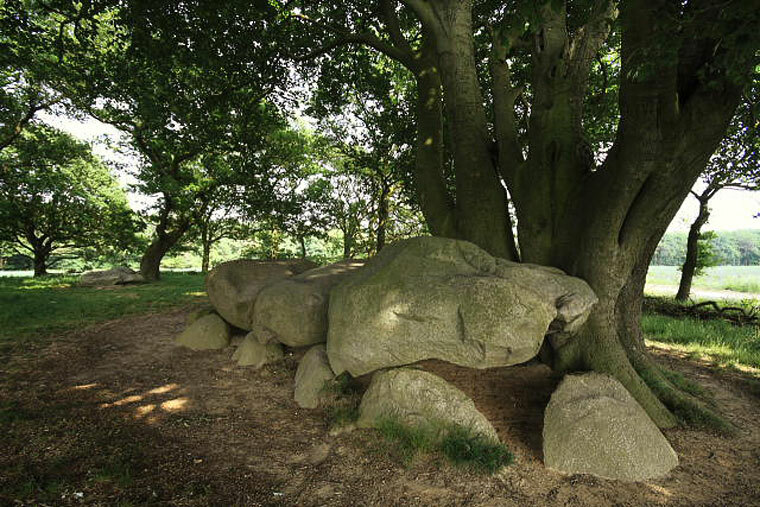 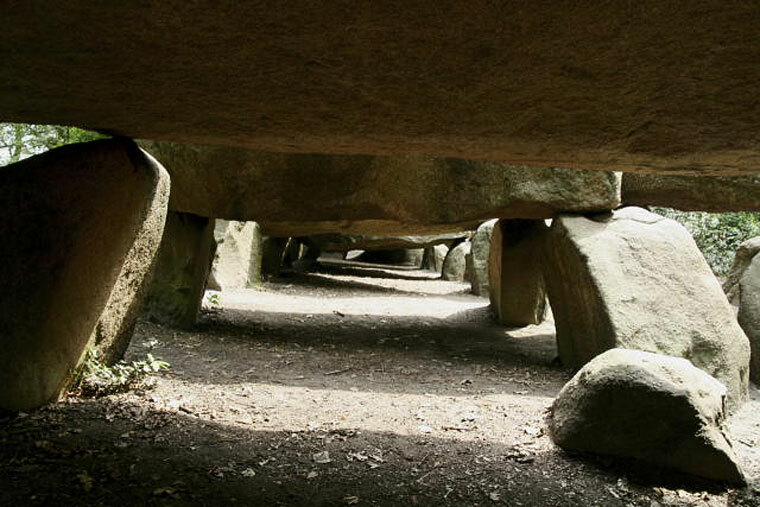 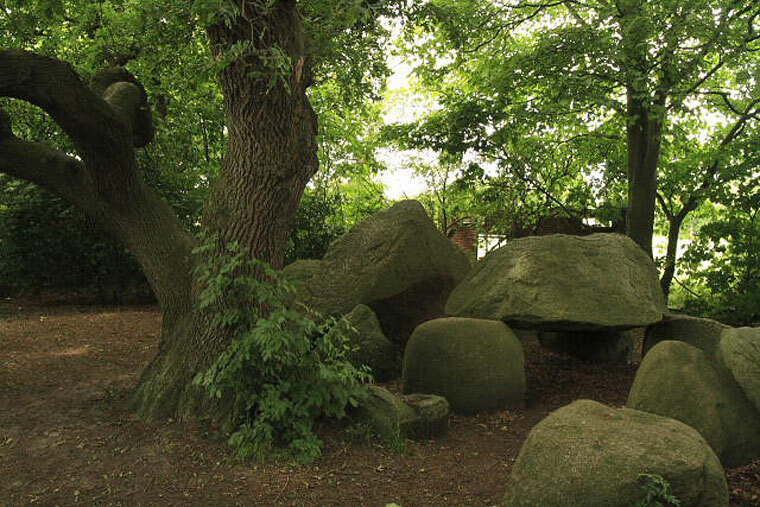 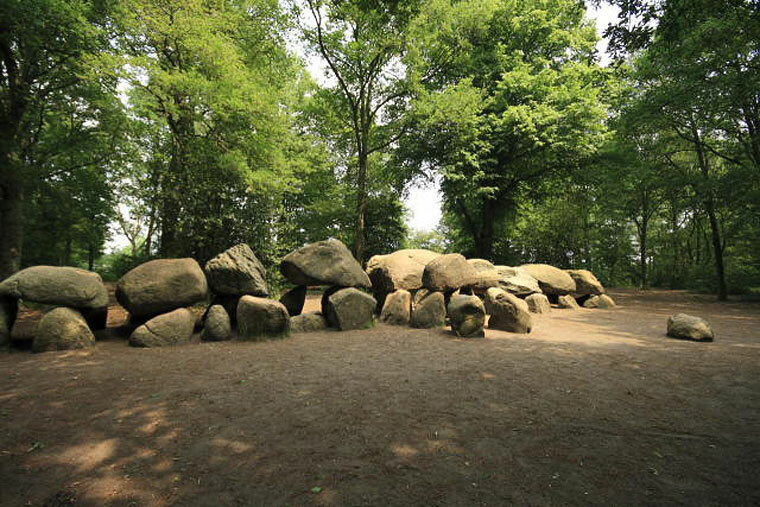 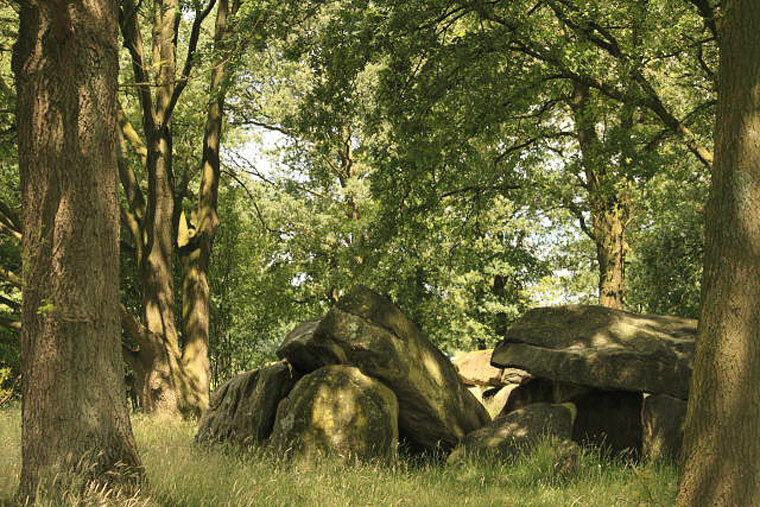 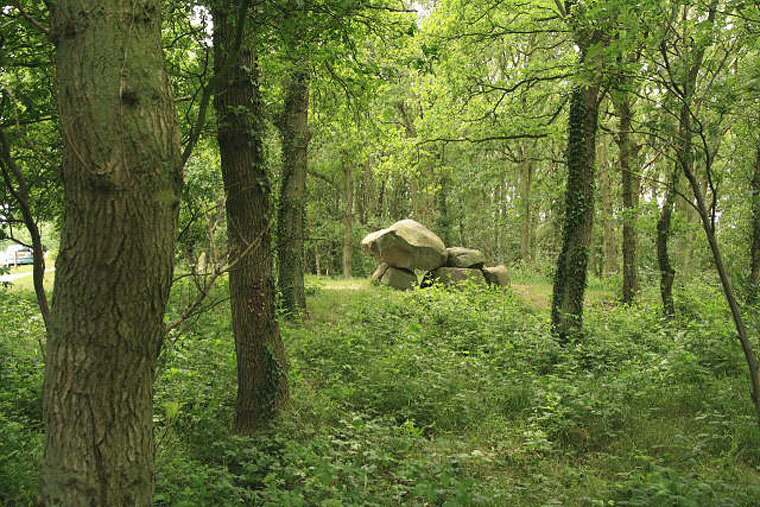 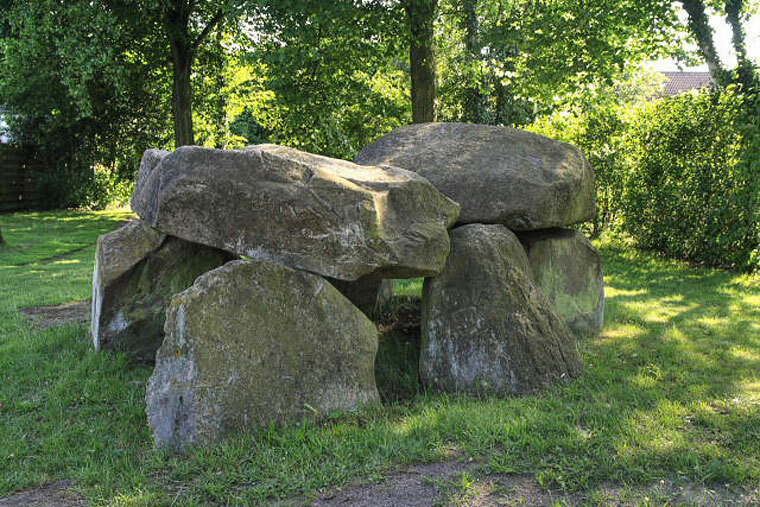 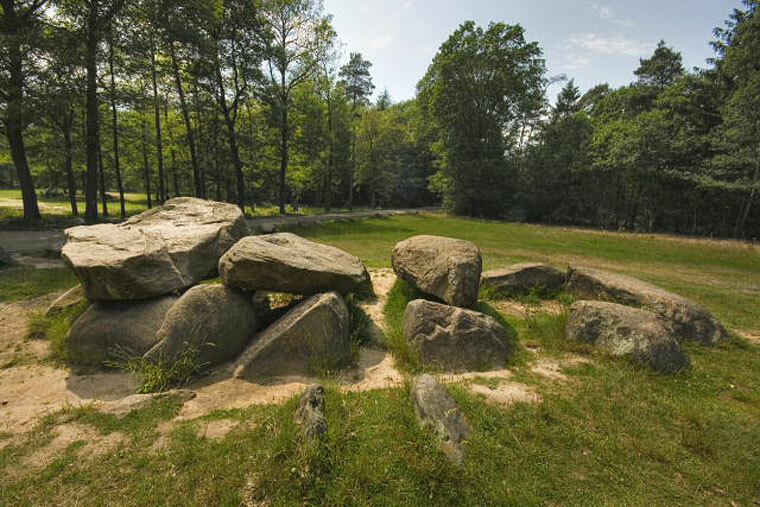 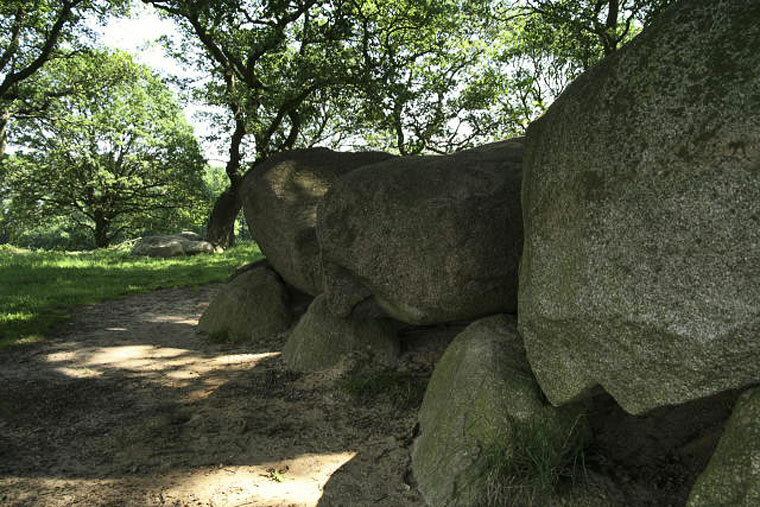 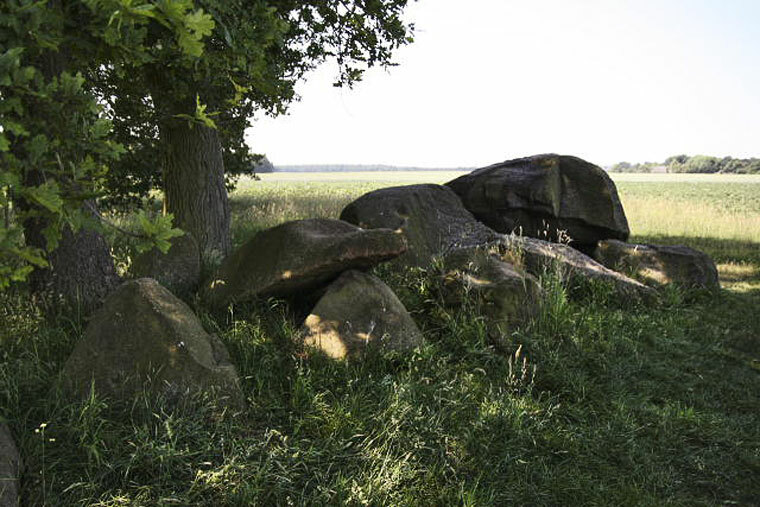 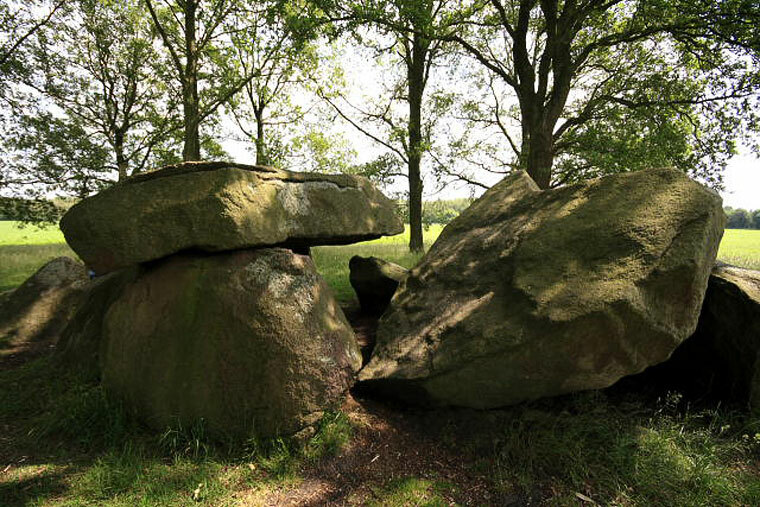 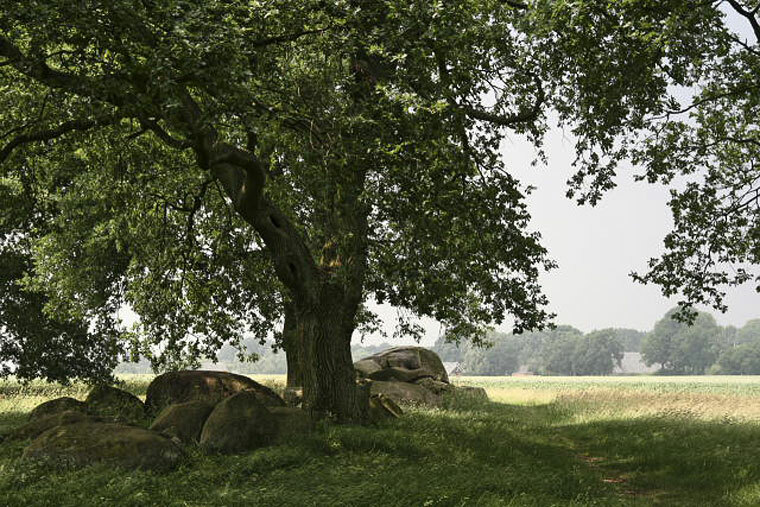 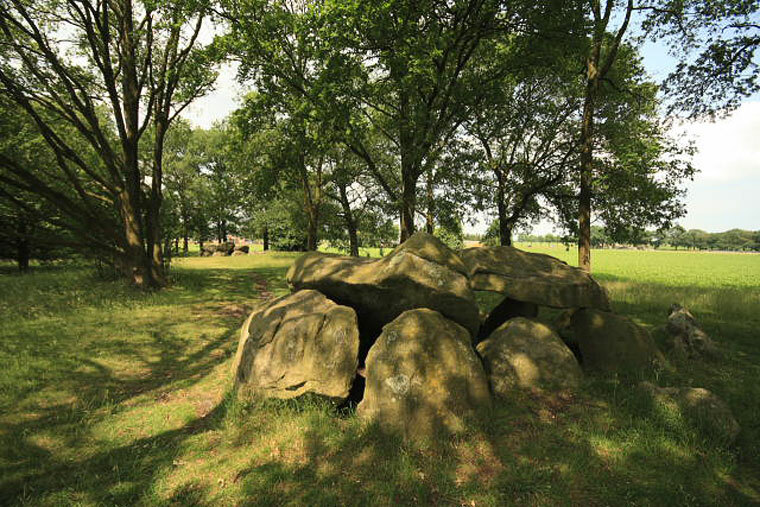 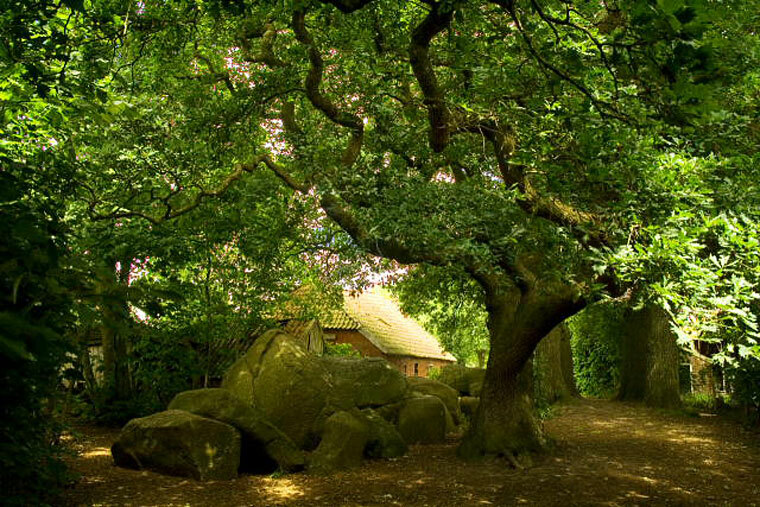 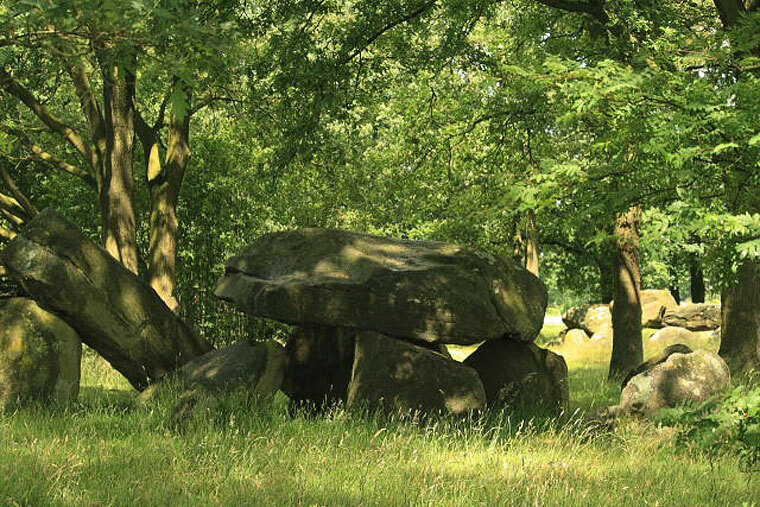 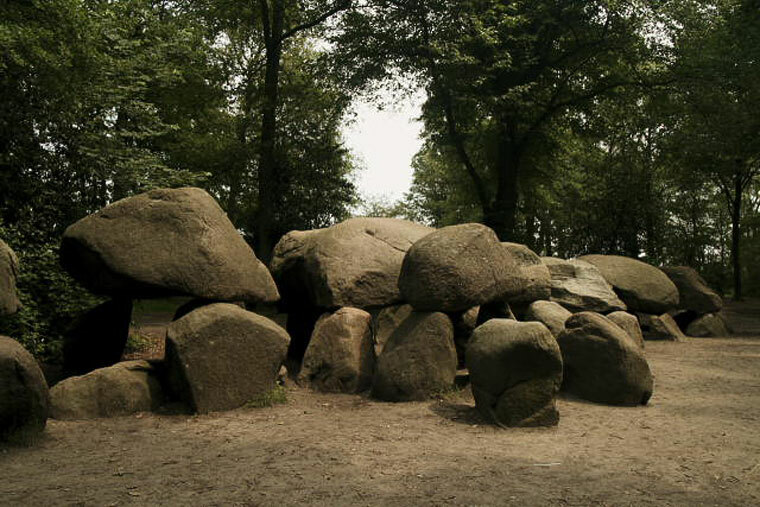 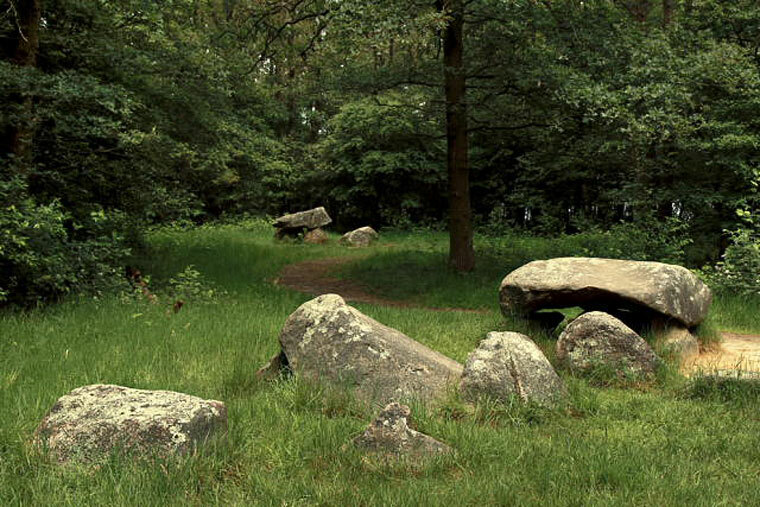 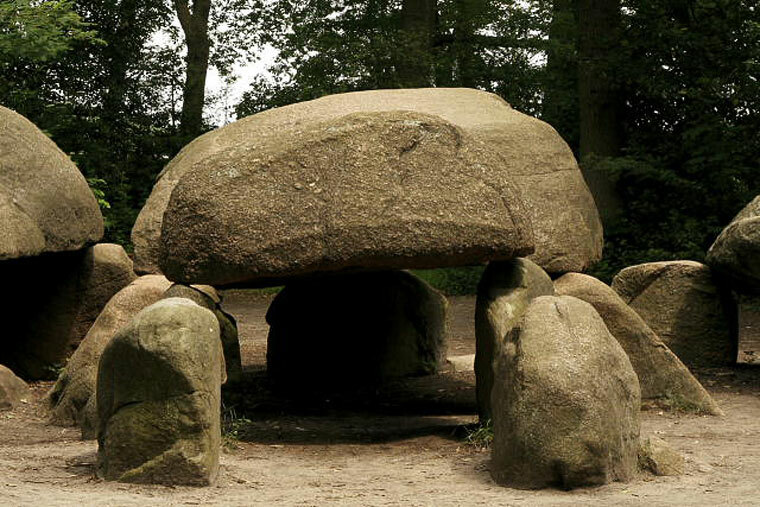 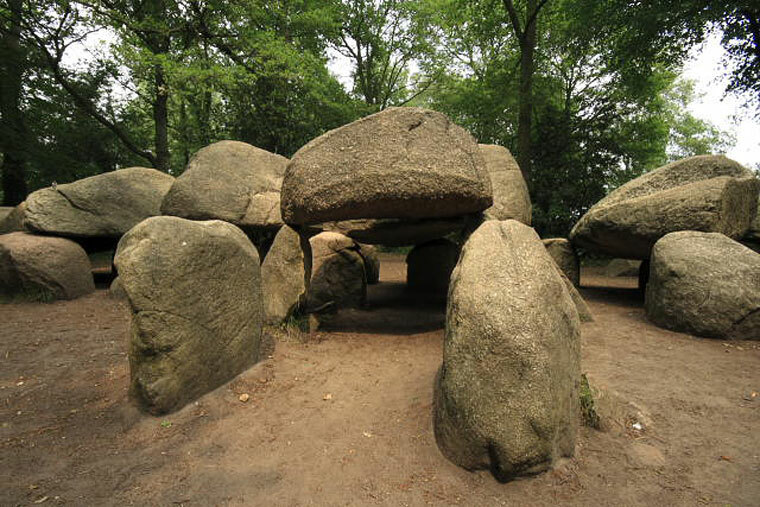 From the 'triplets' at Bronneger to the 'twins' at Buinen, Valthe and elsewhere, there are many groupings of hunebedden in this part of Drenthe. 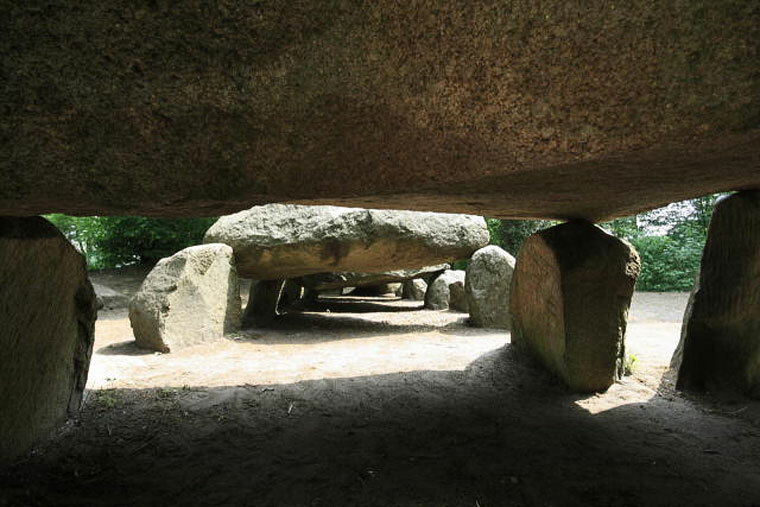 How the monuments within each groupings were related to each other is not precisely known. 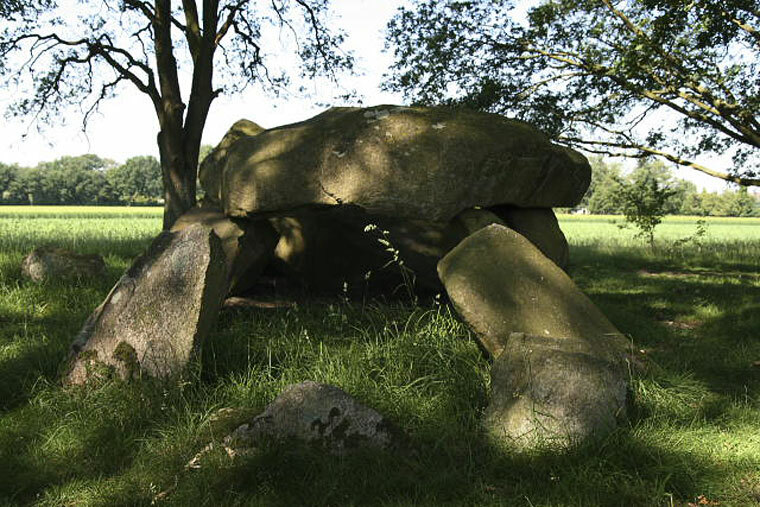 The Bronneger triplets (D23, 24 and 25) and the Bronneger twins (D21 and 22) may have been part of the same complex, and should perhaps be called the Bronneger quints. 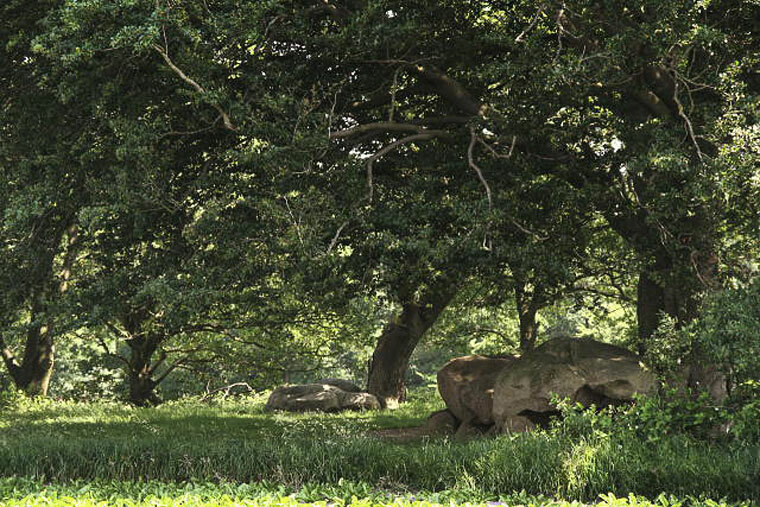 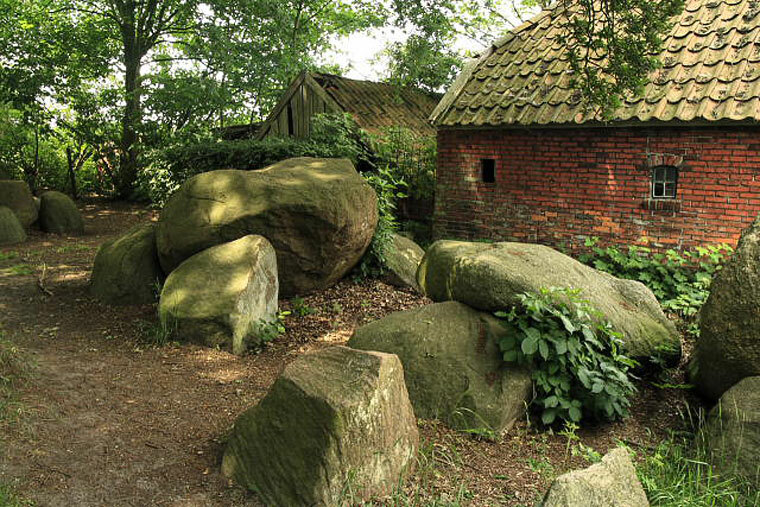 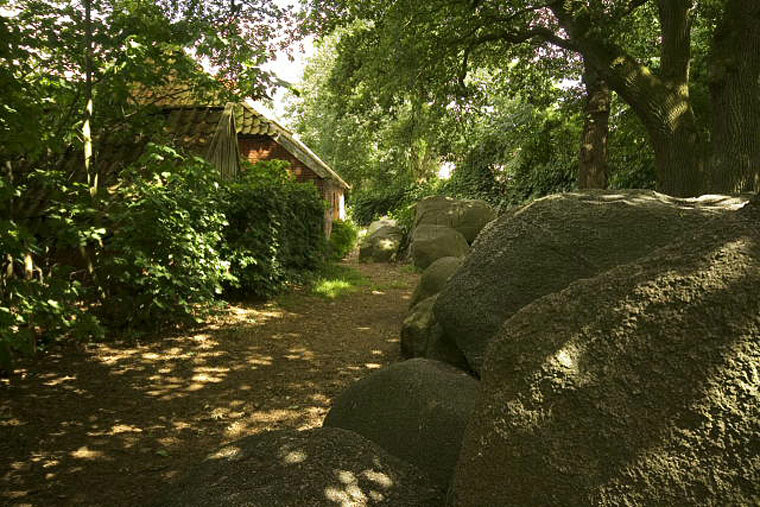 Further north, the twins at Midlaren (D3/4) are interesting in the way they are closely intertwined with the more recent ruins of an abandoned farm.